Researchers have identified a new fingerprint of inflammation that may be able to predict which patients with obesity may also develop Type 2 diabetes. The team from the Boston University School of Medicine (BUSM) quantified inflammatory proteins from blood immune system cells and combined the measurements mathematically to identify dominant inflammatory proteins. Specifically, they identified Th17 cells, known to be involved in autoimmune diseases, as a dominant cell type in Type 2 diabetes. The researchers also demonstrated that another important immune cell, Th1, may be involved in the glycemic control aspect of Type 2 diabetes. “This fingerprint of inflammation may be a key biomarker to predict the 75 percent of people with obesity who will become Type 2 diabetic, versus the 25 percent of people with obesity who remain metabolically healthy,” explained Barbara Nikolajczyk, associate professor of microbiology. According to the researchers, proteins that make up this fingerprint are also considered drug targets for future studies aimed at preventing the development of Type 2 diabetes in people with obesity. The study combines basic measures of inflammation in Type 2 diabetes with cutting-edge mathematical analysis to sort through all changes in inflammatory proteins and rank the changes from most to least important in an unbiased manner. 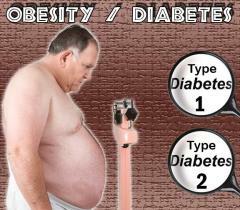 Obesity and overweight pose a major risk for serious diet-related chronic diseases, including Type 2 diabetes.